When MagdaElena and Miguel (Mike) Martin looked across the field they own next to their agricultural services company in Wasco, they didn’t see just barren dirt. They saw a retirement nest egg. For 15 years, the couple has operated R & M Farm Services Inc., which services local dairies by spreading manure and creating a fine compost that is sold by the ton for fertilizer. But the Martins were using only 2 acres of the 20-acre parcel they owned for their business. Last year, the Martins decided to plant the remaining 18 acres of their land in pistachio trees — a nut that in 2017 helped push Kern County’s crop values to the top in the state. The U.S. and Iran account for about 80 percent of the world’s pistachio production, with the two countries vying for the top spot as producer and exporter. According to state agricultural reports, more than 98 percent of all pistachios produced in the U.S. are grown in California. And about 40 percent of the state’s pistachio crop is produced in Kern County. 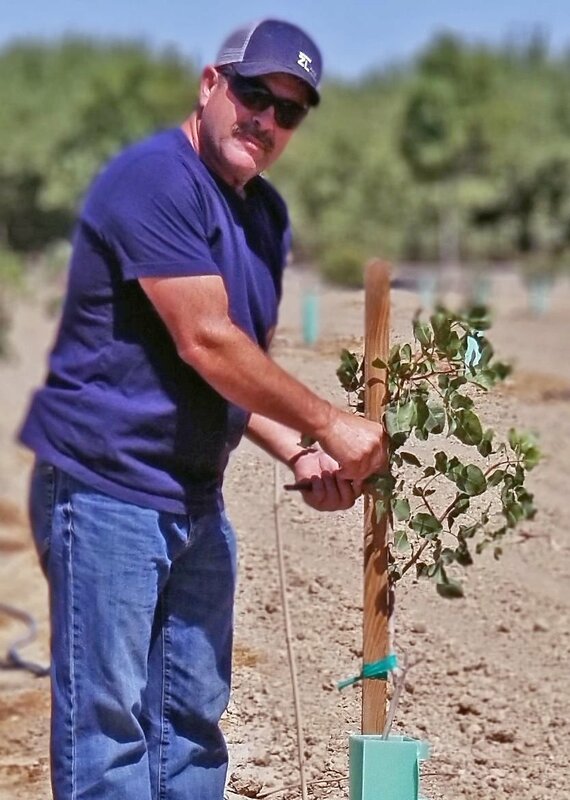 The Martins picked pistachios to help augment their retirement savings because of the crop’s bright future, as well as other attributes. “Pistachios use less water than other trees and they can last 50 to 100 years,” explained MagdaElena, laughing that the return on their investment of money and hard work should get them nicely to retirement. The couple has three adult children, who over the years have helped with the family agricultural business. After graduating from college, two of their sons became financial advisers and they are helping guide their parents’ retirement planning. Their 19-year-old daughter attends Cal Poly, Pomona, with plans to become a teacher. The Martins also turned to the Small Business Development Center at California State University, Bakersfield, for help in developing a business plan, budget and arranging financing for their pistachio endeavor. “It takes a lot of hard work,” said MagdaElena, who credits Mike for restoring the alkali-caked land and planting the trees that will take four to five years to begin producing. The hard work also included installing a water well, with financing provided by Mission Bank. Consultants at the Small Business Development Center helped the Martins apply for the financing for the well. The Martins also placed a mobile office on the property. Critical to the couple’s success is the development of business systems that will help them track costs and hopefully eventual income. A part of the services the Martins received from the Small Business Development Center was a preliminary review of how recent federal tax reforms will affect both their existing agricultural services business, as well as the new pistachio operation. The Small Business Development Center at CSUB is one of five service centers within the University of California, Central California SBDC Regional Network, which is a partnership between the university and the U.S. Small Business Administration. 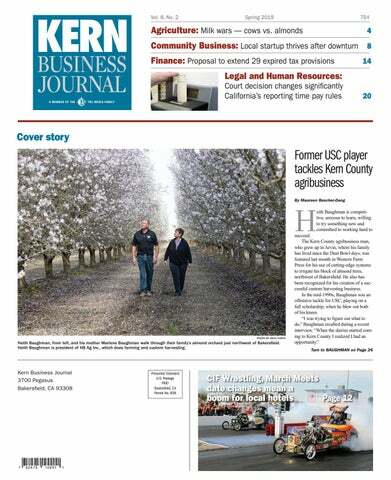 The center at CSUB assists entrepreneurs, such as the Martins, and small-business owners in Kern, Inyo and Mono counties by providing free consulting, small business training and research. For more information, go to csub.edu/sbdc. Kelly Bearden is the director of the Small Business Development Center at California State University, Bakersfield.